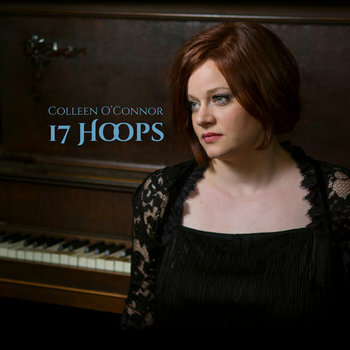 Pianist and singer/songwriter Colleen O'Connor releases her debut EP 17 Hoops produced by Winston Hauschild. An amalgam of alternative piano rock and jazz, her thoughtful and incisive songs explore different forms of conflict as well as the interplay of strength and vulnerability. Thanks to Winston, Michael and Kevin for your musicianship. For support, I thank Lisa Marsh, Melisa, Chris Brandt, BCIT Music Business Class of 2016 (especially Michael Averill, Kas Van Neste Baker, Elle Burston & Ben Rowley), Heather, KCIJK Collective, and Mom & Dad for helping me to finance this project.